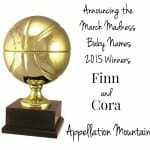 The opening round of March Madness 2018 is in the books, and we saw some close matches – and some unambiguous victories. It’s too soon to predict the winner, but we’ve got a better guess today than we did last week. Wilder bested Atlas easily, 62% to 38%. 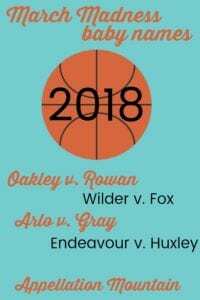 Eyes are on Wilder as a favorite to win this year’s tourney. That’s a reversal from last year, when Wilder was knocked out in the first round. But not so fast! Another rising favorite, Fox, also advances. Fox swept past Deckard, 78% to 22%. Arlo moved past Emrys, 73% to 27%. No surprise here. Emrys generates lots of attention, but Arlo remains the name topping many parents’ shortlists. It even made it to the final last year, before falling to 2017 champ Leo. It’s always interesting when two long-shots face off in the opening round. Endeavour brushed past Ayrton, 52% to 48%. Credit goes to the handsome Shaun Evans for his portrayal of the television detective, I think. The battle of the tree names ended with Rowan crushing Koa, 79% to 21%. Another victory for arborial-inspired names: Oakley came out on top, earning 69% to romantic Loxley’s 31%. Another -ley ender moves forward: Huxley garnered 73% against the virtuous Credence’s 27%. Short, simple Gray earned 56% of votes against Torin’s 44%, so Gray also advances. I have my guesses for the name most likely to win it all, but there’s only one way to know for sure. Please vote! It’s an outdoorsy match-up, with two nature names facing off. They’re both short and stylish, but only one can win. The British invasion: television detective versus famous family surname. 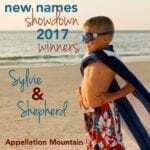 Another nature name contest! This time, it’s all about the trees. This round will remain open through Thursday, March 15th. 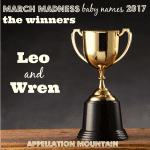 The winners of each round will advance to the SemiFinals on Saturday, March 17th – and we’ll keep on voting until we have our winners at the very end of the month! 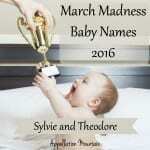 Favorite Baby Names 2014: March Madness Winners! I’m pretty conservative with my naming style, so Rowan is the only one I’d actually consider using. But I love the idea of Arlo and Endeavour! Gray vs. Arlo was the most difficult pair for me. I’ll be sorry to see one of them go. I’m on Team Arlo. Arlo, Gray, and Rowan are the only names on this list that match my naming style.